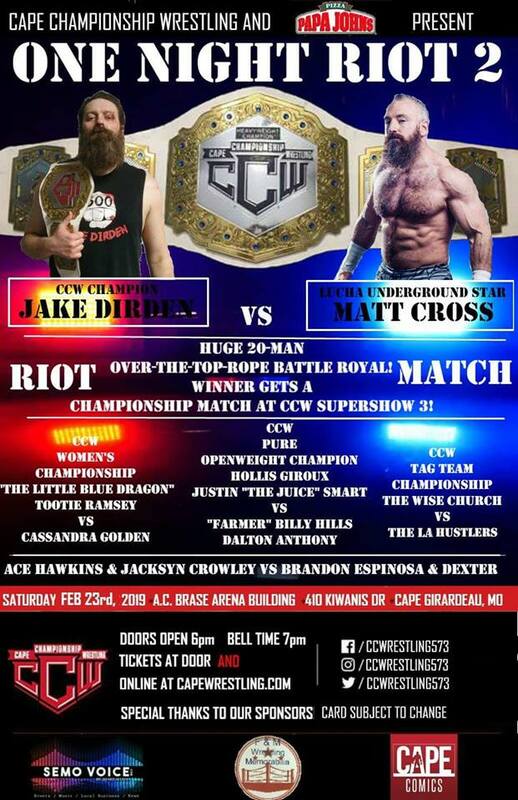 Cape Championship Wrestling and Papa John’s presents CCW One Night Riot 2, live at The Arena Building in Cape Girardeau, MO on 2/23/19. Doors Open At 6pm. 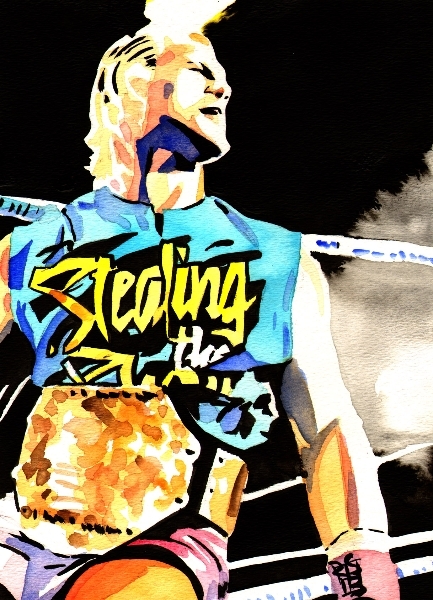 Bell Time Is 7PM. 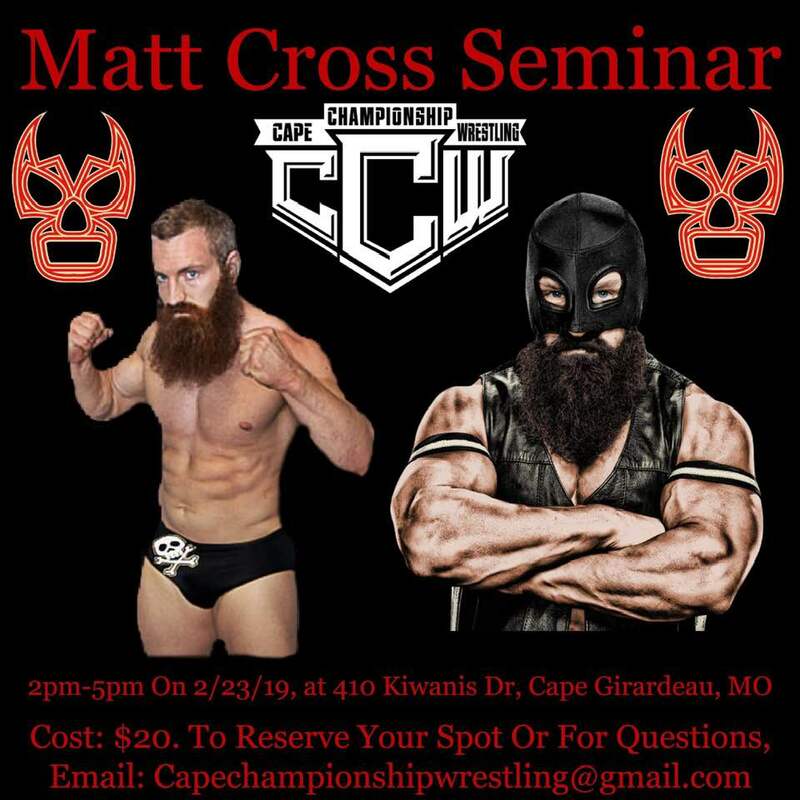 Featuring Lucha Underground Star, Son Of Havoc, Matt Cross!!! $11 General Admission in advance or $12 General Admission Day Of Show. Tickets on sale at CapeWrestling.com !!! Tickets go on sale at 5:45pm on 2/1/19 at CapeWrestling.com !!! The call came at 11 a.m. Saturday. 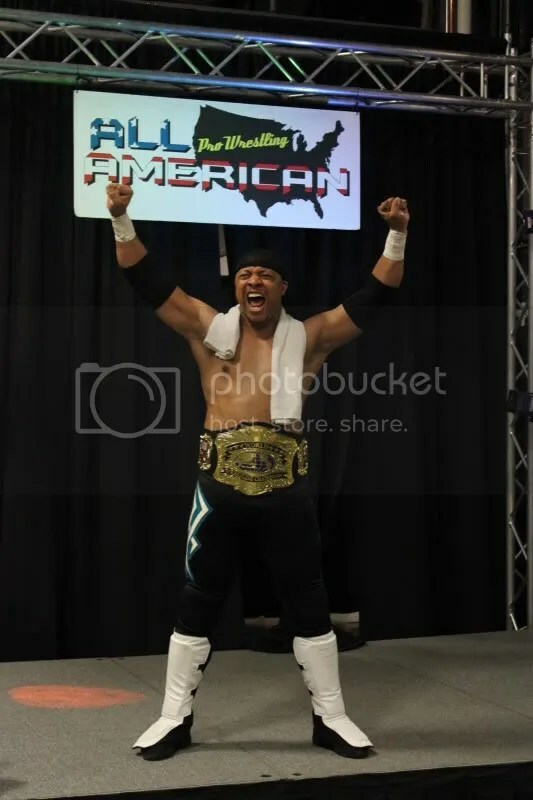 We had already been at work for three hours transforming the Black Diamond Harley-Davidson Warehouse in Marion, Ill., into the All American Pro Wrestling Arena. Russ - Charles Russell Testa RIP 1920-2012. I was out picking up supplies from the store when my phone rang. I didn’t need to look further than my caller ID to know what the call was about. 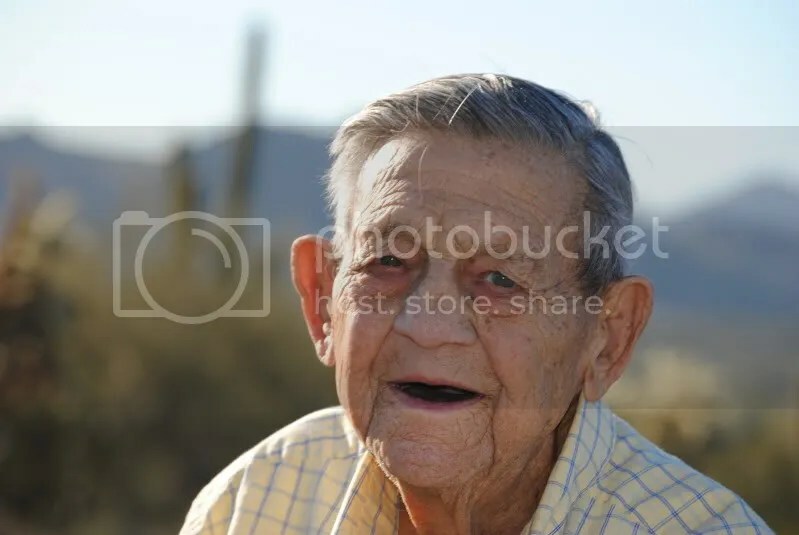 My 91-year-old grandfather had just passed away, days after suffering a major stroke. The call wasn’t unexpected, but I had hoped it wouldn’t come Saturday. That night, AAPW was set to host the biggest event in company history, complete with guest stars PAC, El Generico, Colt Cabana and Matt Cross, who was making a surprise appearance. Being halfway across the country from where my parents and grandfather live, I didn’t have many options. And, as they say, the show must go on. I headed back to the arena, where I returned to work with my friends and colleagues on preparing for the show. I knew that’s where my grandpa would want me to be, and I officially dedicated the night to him. As the day went on, we finished setting up the arena and talent arrived. When the Cabana caravan arrived, I admittedly didn’t know what to expect. For four guys with the recognition and status of those individuals, they could have easily come in, done their thing, got paid and left. What we saw was the complete opposite. Each of our guests proved to be among the most down-to-earth and humble men I’ve met. From talking to everyone backstage to PAC showing a local talent stretching techniques in the ring, they went out of their way to acclimate themselves to the AAPW atmosphere. With all the talent in the building, the time came to open the doors to fans. Pre-sales for tickets had been great, but we still didn’t know what to expect. One thing is for certain: We didn’t expect the record-breaking attendance of 405 that awaited outside the door. With a crowd more than tripling average attendance at our television tapings, the stage was set for an outstanding night. Everyone knew the bar had been raised, and they’d have to step up to the challenge. From the first of nine matches, pitting year-long rivals Heath Hatton and “Golden Boy” Greg Anthony against each other, to the final bout, a no-disqualification title match between AAPW Heavyweight Champion Edmund “Livewire” McGuire and “Old School Warrior” Ax Allwardt, each and every match brought something different and special to the show. Our four guests gave it their all, too. PAC and El Generico put on a match rivaling any they’ve had in the past; Cabana meshed extremely well with third-generation star “3G” Eric Wayne; and Cross made a nice surprise answering the undefeated Pokerface’s open challenge. 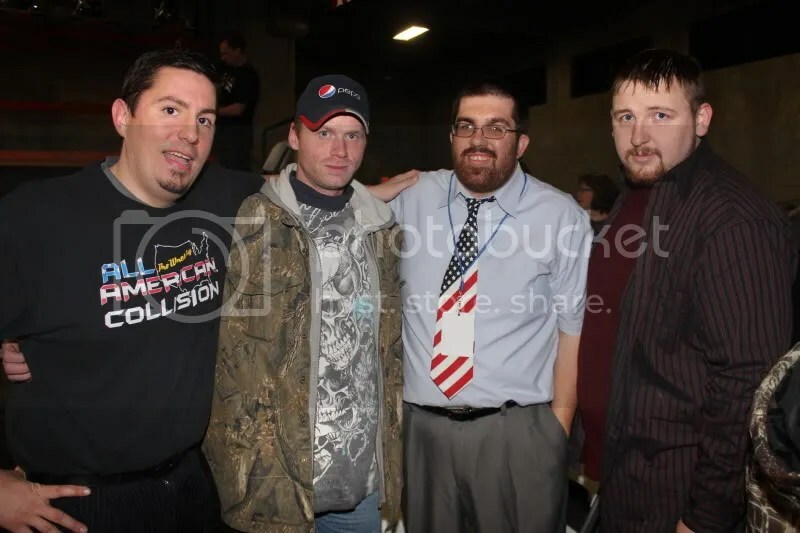 Many of the fans in attendance that night didn’t know exactly who these guys were before the show, but by the time the closing bell rang, they had been exposed to an entirely new side of professional wrestling. Following the PAC-Generico match, as the show headed into intermission, I walked to the commentary table where I was immediately greeted by Chris Hagstrom – AAPW promoter, color commentator and one of my closest friend – and we embraced in a hug. The only words I could mutter were “Thank you,” and he replied, “This is for you know who.” That is a moment I will never forget. That night – Jan. 14, 2012 – proved to be something special. AAPW started five years ago to help raise money for a young girl burned in a fire. In the time since, it’s become a staple of life in Southern Illinois. “AAPW Main Event” took things to the next level. 2012 looks to be a breakout year for the promotion, as we continue our television show, entering our second season, and expand even more. Our guest stars all complimented us on our production, professionalism and other values, which meant the world to all of us in the front office. They all – even Japan-based PAC – expressed interest in returning. But we’d like to think they aren’t alone. We hope that each of the 405 fans in attendance all left pleased, impressed, entertained and desiring to return. But for me, personally, I hope most of all that my grandfather was watching from above, proud of even the smallest role I played in making that show a reality. This show was for him. On Jan. 14, 2012, the landscape of AAPW changed. This two-disc set allows the events of that night to live on forever. To see the online store, click the link in the menu bar or click here.